There’s nothing that makes people sit up and take notice like learning how exclusive something is. Is there an invitation-only country club in your area? Think about how many people you know that don’t like golfing but still want to be members. The same idea applies in so many other areas. The trick is to make sure you aren’t letting the idea of exclusivity distract you from the details — especially with big life decisions like choosing mortgage financing. A veterans home loan may immediately seem like the best option because it’s only available to a select group. But, just because it’s exclusive, does that make it better than other loan options? Veterans home loans, as the name implies, are available to veterans and active-duty servicemembers. 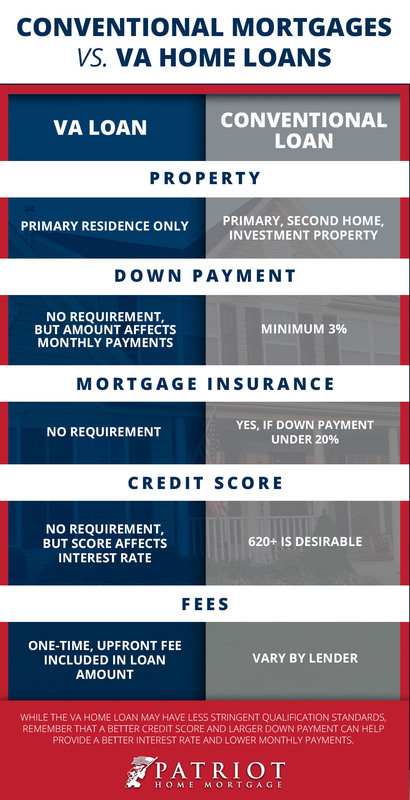 In many ways, the VA loan functions similarly to a conventional mortgage, but there are a few standout differences. For those eligible, the choice probably seems easy. You’re eligible, you’re ready to buy a home, and you know you’ve got VA loan benefits to use. But, just because you’re eligible to use your VA home loan benefits, that doesn’t automatically make it the best choice. No matter where you’re looking to buy or what your financial situation is, we always recommend shopping around and comparing multiple loan options to find the one best suited for your needs. And yes, this does still apply if you’re eligible for a VA loan. Just because you can use those benefits doesn’t mean that’s the best option. Here are a few things to consider. It’s easy to assume that since a home is for sale, you’ll be able to find a loan for it. And to an extent, that’s true. However, VA loans have a few restrictions on the property types for which you can get a loan. The most important detail is that veterans home loans are only good for primary residences. A conventional mortgage, on the other hand, can be used for a primary residence, second home, or investment property. So, if you’re looking to buy a vacation home, you won’t be able to use your VA loan benefits to do so. In addition, you’ll have to set aside your dreams of property management if you’re going to use your VA loan benefits. VA loans can only be used on properties up to four units, so if you want to own a full apartment complex, you’ll need to find another option. Of course, a conventional loan may not be the best option in this case, either. The loans for veterans have a leg up over other loans in the financial department. Since the loan is insured by the Department of Veterans Affairs, VA home loans can offer a great deal more flexibility than many other loan options. They don’t require a down payment or mortgage insurance, and there’s no minimum credit score requirement. A conventional mortgage, on the other hand, is going to require a minimum credit score, a small down payment (usually at least 3 percent), and mortgage insurance for loans with less than 20 percent down. Both types of home loans will require some level of funding fee. With the VA loans, it is generally between 1 percent and 3 percent (depending on your benefits), while the conventional mortgage fees vary by lender. So, Is The VA Loan Better? However, if you do have good credit and a decently sized down payment, choosing the conventional mortgage has the potential to be the better option. The VA’s less-restrictive financial requirements help more veterans and active duty servicemembers qualify for loans and buy homes, generally making it the best option for those with less-than-amazing finances. Conventional mortgages, on the other hand, are offered through pretty much any home loan financing company, so there is a huge array from which to choose. In the end, there is no single correct answer for choosing between a conventional mortgage and a VA loan. It will depend on the property you want to buy and your specific financial situation. This is why working with a mortgage broker can be incredibly valuable. They can help you shop through multiple different types of loans to compare rates and benefits based on your finances. 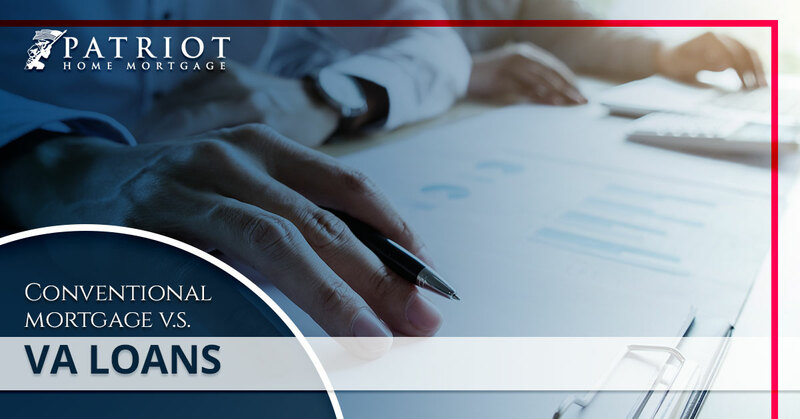 Connect with the Patriot Home Mortgage team to find your home financing today.